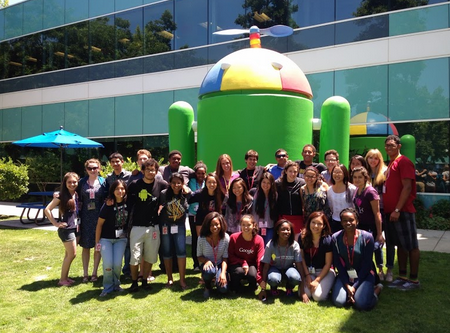 Our application deadline for Google's Computer Science Summer Institute (CSSI) and the Generation Google Scholarship has been extended to March 17, 2014. Read more below about CSSI and apply today. 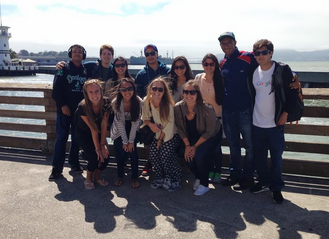 You may have heard of both our CSSI and Generation Google Scholarship programs in our Program Spotlight in January. We’re back with two former program participants from summer 2013 to provide an insider’s perspective on the real CSSI experience. Alexandra: I applied to CSSI because it was an awesome opportunity to be exposed to programming and web development. It was also a great chance to meet and collaborate with other people interested in computer science. Jordan: Now that I have finished CSSI, I feel like my logical thinking as improved dramatically. Not only can I think of ways to solve a problem the "Java way", but I also have the tools to solve it the "Python way." I now look at websites, applications, and software and think about how I would go about doing the same thing or what they could have done differently knowing what tools developers have. Alexandra: I am most proud of my final group project because I started the program with not much computer science or coding background and my group was able to make a functional web application in few days. I am also proud of the fact that I was able to make lifelong friends during the three weeks I was in the program. Jordan: I have really learned how to work and live with a diverse group of students. Before CSSI, I was really the only minority in all the advanced classes. But at CSSI I was exposed to people from different backgrounds and what I have learned in the three weeks of living and working with them, will be a great experience to have now that I am heading into college and adulthood. Jordan: Everything I have learned in CSSI from group work to App Engine, I plan on using in college. Learning at a fast pace in CSSI will be beneficial my freshmen year. Furthermore, knowing when to ask questions and making connections with your instructors is what CSSI taught me, and I plan on using that my freshmen year. Alexandra: I will apply for a job at the IT Center at my university, increase my course work to include Java programming and Python and also participate in hackathons. Jordan: CSSI not only exposes you to CS, but also to people from all over the place. Knowing how to work with different people, and learn at a fast pace is a great skill to have going into college and CS. 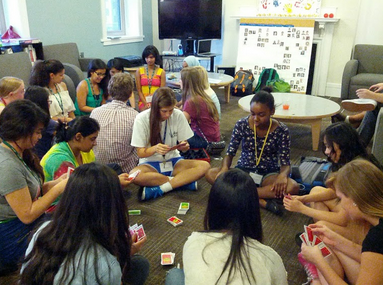 If you’re ready to experience CSSI for yourself, apply today! Applications are open for rising university freshmen who will be attending universities in the US & Canada. The deadline has been extended until March 17, 2014. Students selected for the Generation Google Scholarship are required to attend one of our three CSSI sessions this summer.